Although part of the Colorado River watershed, the park's environment is typical of the Great Basin desert and riparian life zones. The reservoir attracts a variety of waterfowl and shore birds, including mallards, teals, herons, avocets and the infrequent, yet beautiful, trumpeter swan. Eagles, hawks, songbirds, ravens and road runners inhabit the canyons and valleys. Common animals include squirrels, cottontails, jack rabbits, coyotes, deer, skunks and an occasional bobcat. Several species of lizards and snakes also inhabit the park. Vegetation varies throughout the park depending upon elevation, precipitation, soils and slope. The most common trees and plants are pinyon pine, Utah juniper and big sagebrush. The flood plains support rabbit brush, big sagebrush and several grasses. In the meadows, springs and streams, cattails, sedges and grasses are common. 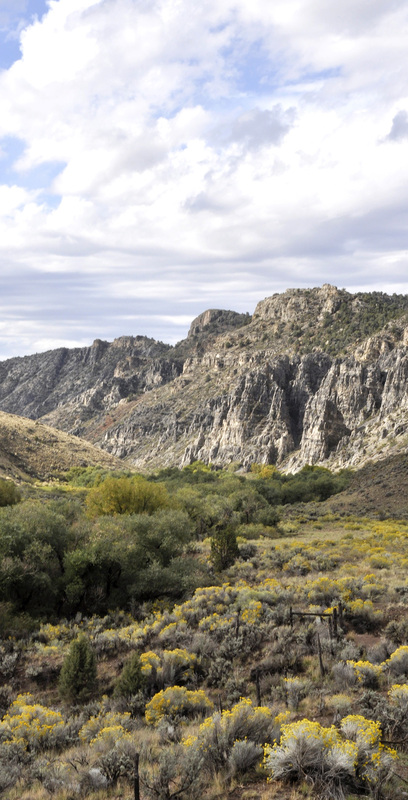 One of the largest geologic formations within Spring Valley is volcanic tuff and sediment, rocks which are found along the hillsides upstream from the reservoir. They give a dramatic backdrop to the park where light-gray, pink or white outcrops are exposed. Evidence of older lake bed deposits suggest that Spring Valley was once inundated by a lake during the middle Pliocene and early Pleistocene when the climate may have been much wetter than today. The climate of the area is arid, with hot summers and cold winters. Summer temperatures range from 85˚F at midday to 45˚F at night. Rainfall is variable and thunderstorms are common. Although open year round, visitors should be aware of colder winter temperatures and snow.